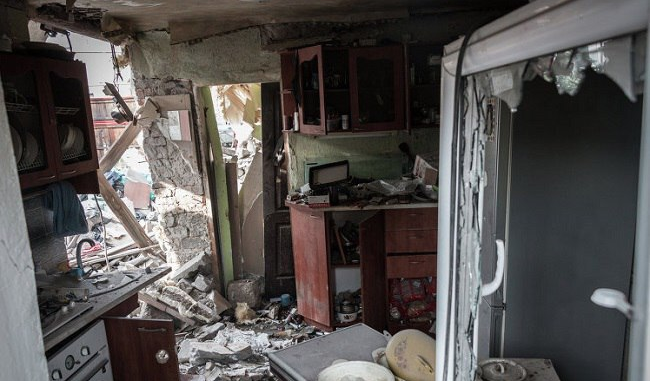 The Ukrainian shells injured her, killed her family, and destroyed her house, but she did not break, and she carries the truth about the war on the eastern outskirts of Novorossia to the whole world. In the middle of November, a beautiful and elegant young woman made a presentation at the Geneva Palace of Nations in a session of the UN Human Rights Council. That meeting was devoted to the situation in the Donbass, because she spoke about Ukraine, and about the Donbass, and her own Gorlovka. How it became a mass grave for many, who were really close to her. After the speech of Anna Tuv – that’s the name of this woman – the hall was silent for the first time during the meeting, no one asked her any questions, no one tried to argue. Western functionaries selected from politics, science, and media first saw before eyes a living embodiment of the war that their leaders and the regime in Kiev, which they patronize, unleashed. A crippled, but a living and beautiful embodiment. With whom you will not discuss the “Russian aggression” and who does not look like the Minsk agreements or the Minsk format, because for those who look into the pain and despair, the eyes will be inexpressibly ashamed. And the UN said nothing. Although it was not always so. Anna did not at first to speak of her pain in the tribunals of the European capitals, first she was treated, and after recovering from the shock, she began to visit Europe in order to open the eyes of the Old World to what is happening in her native Donbass. Italy, San Marino, Germany: pickets, rallies, conferences, round tables, photos showing the loved ones still alive, as well as a photo of what remains of her cozy family nest. And the shocking truth was not met with silence everywhere, the French made interviews with her, talking about this tragic story in TV reports, the Italians held rallies, demanding to bring Poroshenko to justice and to recognize Ukrainian nazbats as terrorist organizations, the leaders of the leading factions of San Marino offered help, German parliamentarians promised to convey her terrible truth to the German public. Through the efforts of a fragile woman, a reinforced concrete information blockade around everything that is happening now in the Lugansk and Donetsk regions was cracked open. 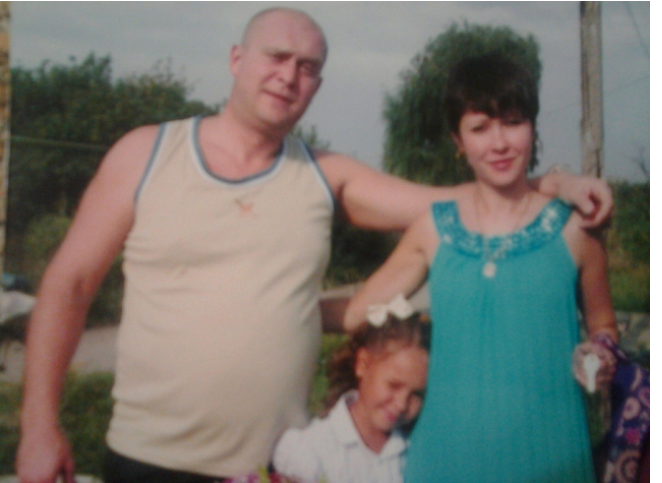 Anna herself is not going to return to Gorlovka after the death of her husband, and daughter and the destruction. She lives with a disabled five-year-old son and a two-year-old daughter in the Moscow region, and works at the International Charity Fund, which helps children with disabilities, responsible for public relations work. 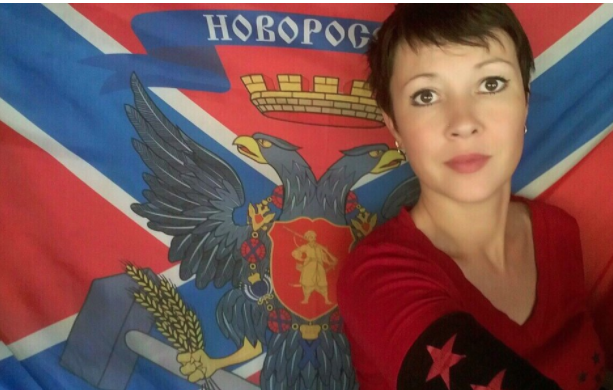 And she also assists in a number of social movements of Novorossia. All in order to tell the truth about the bloody lawlessness that the Kiev regime has set up in her small homeland. However, she has to admit that every time she, as a citizen of Ukraine, goes abroad it is getting more and more difficult. “The Ukrainian consulate understands perfectly well that I’m not going to sunbathe in Europe, they try not to let in a cannon shot,” says Tuv, “and each time I have to solve this problem. And in this, the fate of Anna, is similar to the fate of many Russians, whom the evil Leninist policy* of splitting the single power into national pseudo-states stranded in the territory now called the state Ukraine. And for another state, the largest fragment of this power – the state of the Russian Federation, this Russian woman is formally a foreigner. The Pole from the USA is not a stranger to Poland. As well as a Jew from Italy – for Israel. But the Russians who are fighting for their own Russian identity and the ideals of the Russian World of Donbass are alien to the state of the Russian Federation. The poison of the Bolshevik policy of the past continues to poison our future. 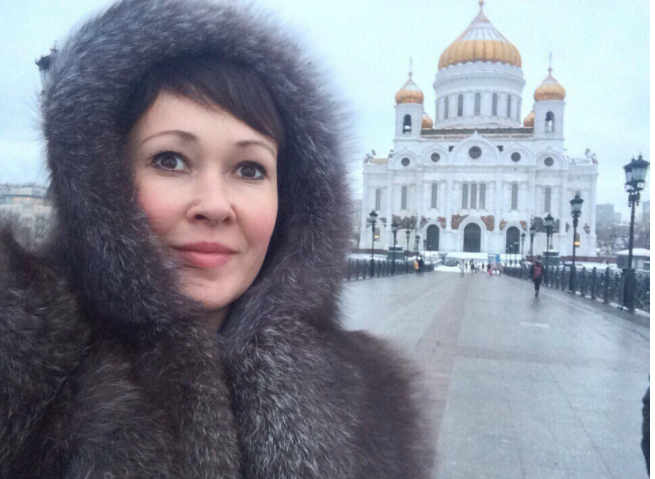 Anna after moving to Russia. Photo courtesy Anna Tuv. In any case, Anna will not surrender. A person who has experienced what she experienced, and is not bent after this, is not going to break. Just as Donbass will not break, Donbass which is now struggling for all of us, even if some of us stubbornly does not notice it, or because of some shortcoming is incapable of understanding. * Two notes here: 1. As President Putin has noted, the arbitrary breakup of the Soviet Union made 22 million Russian foreigners. A tragedy. 2. “Tsargrad” means Constantinople, the heart of the Eastern Orthodox Church, and Tsargrad TV is Russian Orthodox TV.